FEA enables complex structural behavior to be quantified with high geometric resolution and accuracy, so that fatigue and creep can be fully reported and where necessary optimised accordingly. Furthermore, it is possible to model dynamic loading conditions such as mating gear trains, screw threads and wheel-interface modelling and various other complex contact situations. 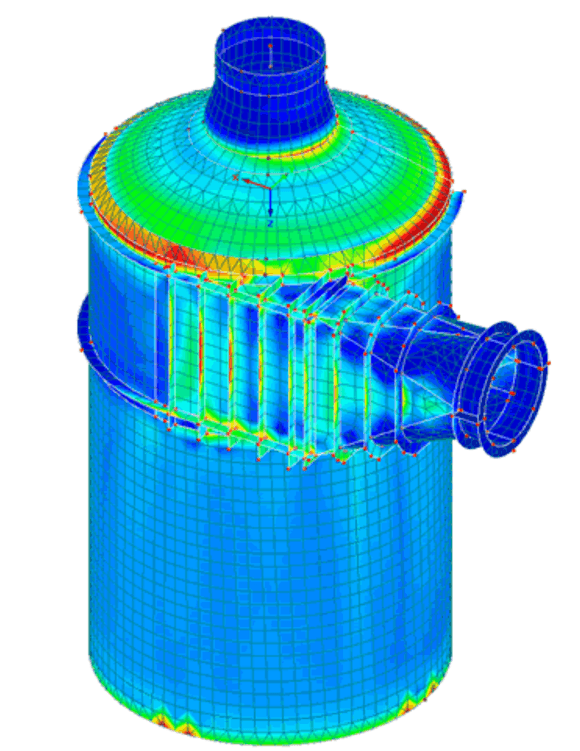 Our stress analysis consultancy services, offer the capability of modelling situations which fall outside of the normal linear elastic world, with the use of FEA for non-linear material modelling and non-linear contacts. We offer a complete range of analysis including non-linear materials such as rubber and composites, complex contact issues with and without friction and large displacement modelling (which is not possible with a purely linear elastic solver).